This contemporary chest from Nexera provides a truly timeless look, blending easily into any style of decor. Its manufactured wood exterior is finished in a tasteful maple colour. 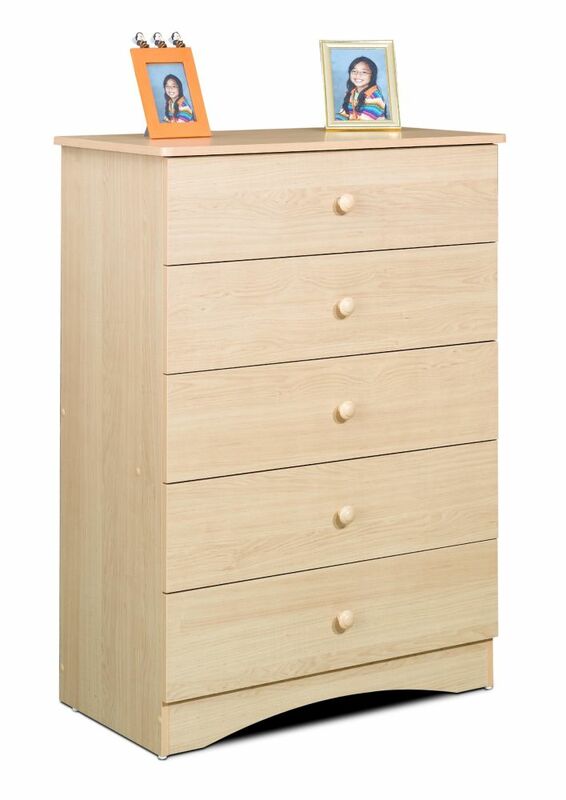 Dixie 5-Drawer Chest from Nexera features 5 drawers on metal slides where to store clothes and personal effects. Dixie Collection is the perfect bedroom suite for your young lady. It is offered in a rich textured lacquer and melamine finish with metal handles, rounded girly construction details and generous storage space for all her treasures. Nexera Opaci-T 4-drawer chest is offered in a trendy black and ebony finish with a scratch resistant melamine top panel. The 4 drawers are mounted on solid metal slides and provide convenient storage for your clothes and personal belongings. Alegria 31.88-inch x 44.13-inch x 17-inch 5-Drawer Chest in Maple This contemporary chest from Nexera provides a truly timeless look, blending easily into any style of decor. Its manufactured wood exterior is finished in a tasteful maple colour.